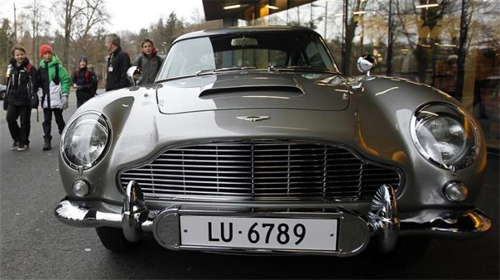 Cars attached with hi-tech gadgets have been an inevitable part of James Bond movies. 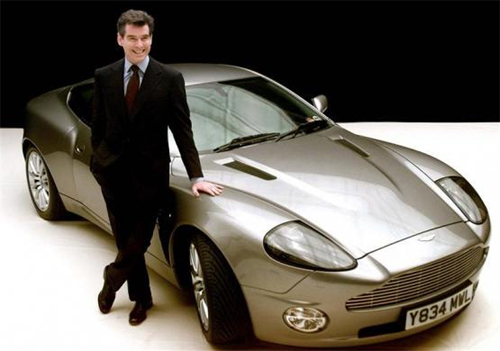 Image: James Bond actor Pierce Brosnan poses for photographers with the Bond car, an Aston Martin V12 Vanquish, at Pinewood Studios in London. 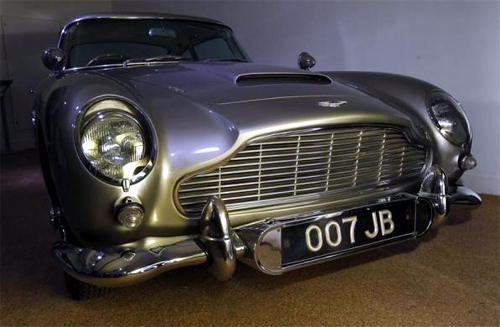 An Aston Martin DB5 from the James Bond film "Goldfinger" is displayed at the opening of the "Bond in Motion: 50 Vehicles 50 Years" exhibition at the National Motor Museum in Beaulieu, southern England. A Rolls Royce Silver Cloud II from the James Bond film "A View To A Kill" is displayed at the opening of the "Bond in Motion: 50 Vehicles 50 Years" exhibition at the National Motor Museum in Beaulieu, southern England. 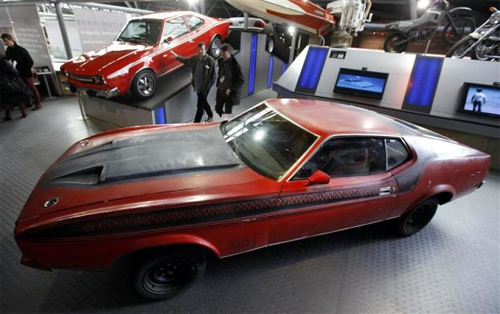 Visitors walk past a Ford Mustang Mach 1 from the James Bond Film "Diamonds are Forever" at the opening of the "Bond in Motion: 50 Vehicles 50 Years" exhibition at the National Motor Museum in Beaulieu, southern England. 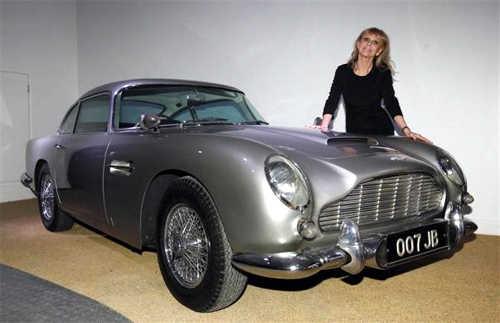 Actress and former "Bond Girl", Britt Ekland, poses for photographers with an Aston Martin DB5 from the James Bond film "Goldfinger" at the opening of the "Bond in Motion: 50 Vehicles 50 Years" exhibition at the National Motor Museum in Beaulieu, southern England. School children walk past the 1964 Aston Martin DB5 made famous in the James Bond movies "Goldfinger" and "Thunderball" which featured Scottish actor Sean Connery, as it is displayed for the first time since a total restoration at the Transport Museum in Luzern. 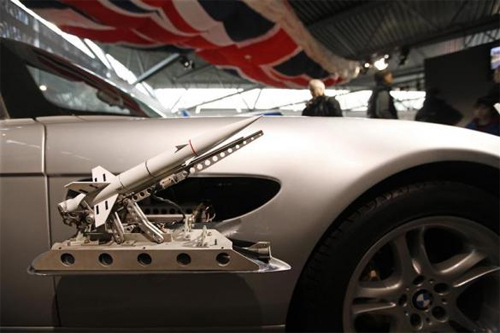 A BMW Z8 from the James Bond film "The World Is Not Enough" is displayed at the opening of the "Bond in Motion: 50 Vehicles 50 Years" exhibition at the National Motor Museum in Beaulieu, southern England. 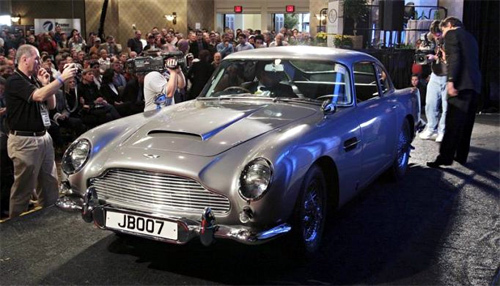 This James Bond's 1965 Aston Martin DB5 coupe sold for 2.1 million dollars at the RM Vintage Motor Cars in Arizona auction at the Arizona Biltmore Resort in Phoenix, Arizona. The car was on display at the Smoky Mountain Car Museum in Tennesse for the past 35 years. It was put up for auction by the museum owners and was sold to an undisclosed European buyer. A promoter poses beside the Aston Martin V12 Vanquish that appeared in a James Bond film in Seoul December 19, 2003. 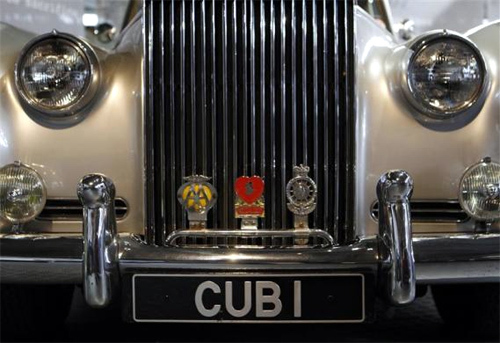 Sixty cars, many of which appeared in films, are on display in Seoul. 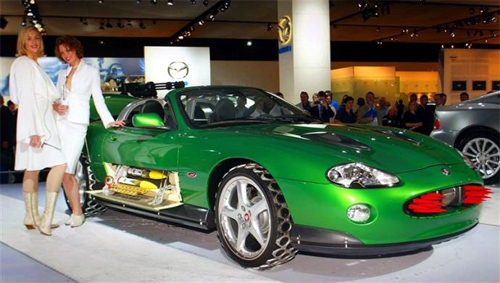 Models introduce a modified Jaguar XKR Convertible that featured in James Bond film 'Die Another Day', at the British International Motor show at the NEC in Birmingham. 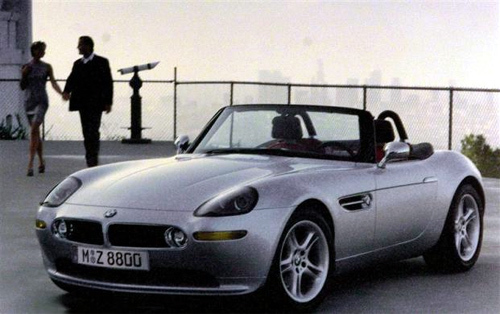 An undated handout picture shows the BMW Z8 roadstar which will be used in the James Bond movie "The World is Not Enough". Will technology KILL the comic book? 10 REALLY COOL movie gadgets we wish we had!